Wish I could leave a tip with my plastic, but understand why. Great experiance!! Wife was well pleased. This event was a fun and I would recommend trying it out next year to anyone. Went there late on Valentine's day after an earlier dinner at a full service restaurant. It was everything I thought it would be. Crazy looking people mixed with normal looking people, white castle sliders and a Musician on keyboards providing live entertainment. A great and goofy way to end the day. White Castles have been my favorite restaurant since my first one at the Bexley, oh location where they were 5 cents each. 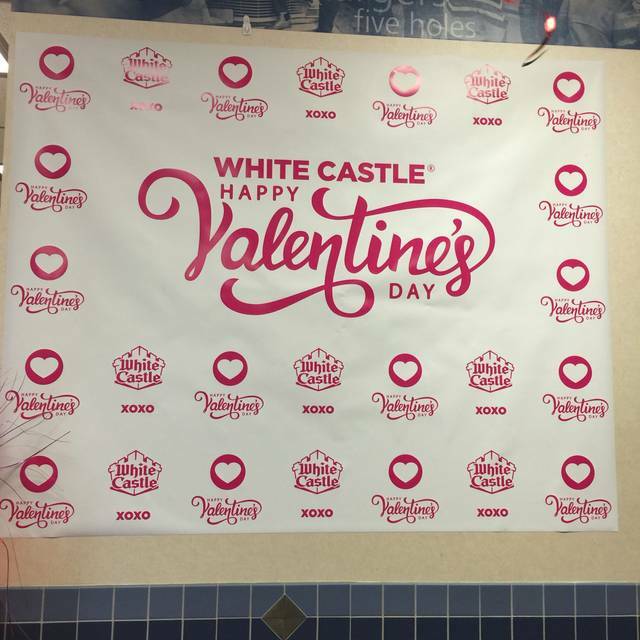 White Castles have helped me celebrate birthdays , gradations, special occasions , no particular occasion, now has become our tradition to have our Valentine's Day Dinner at the Westerville location and when I retired .... I requested an assortment of my favorite square burgers to be served. I never have to make a decision as to where to eat .... anywhere there is a White Castle. My Wife and I went to White Castle for Valentines day. It was a good time and we had fun. Jimi and the cool cats music was entertaining. It was a lot of fun for a goofy valentines date. A lot of people brought their whole family. Good times for all.